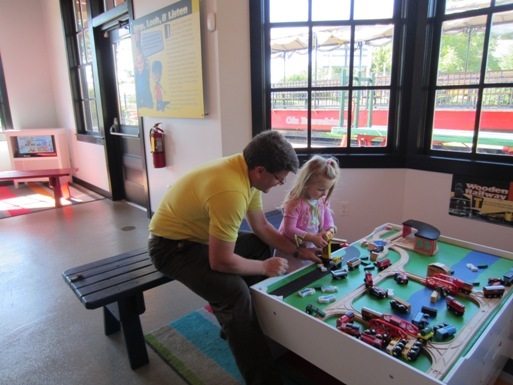 National Railroad Museum | Enjoy the Benefits of Membership Today! Your support helps us to preserve the Museum's collections, develop interactive exhibits and provide hands-on educational programs for learners of all ages and abilities! You may choose to automatically renew your membership on a annual basis. You will be able to login and make changes at any time. Is this Membership a GIFT? Please enter the gift recipient's name, mailing address, telephone number and email address. : Sign up for Museum e-news and updates! Sign up for Museum e-news and updates! Donate 100% - Add 3% so that 100% of the donation goes to National Railroad Museum. National Railroad Museum has partnered with Network for Good to securely process your online credit card payment via Network for Good (tax ID 68-0480736). This transaction will appear on your credit card statement as "Network for Good." This transaction is subject to Network for Good’s Privacy, Security & Disclosure Statement and the Charitable Solicitation Disclosure.